Stunning Downtown Portland views and beyond! Portland is renown for its parks of all sizes. This helicopter tour features these natural gems that help make our city such a unique and desirable place to live. Offering an unbeatable, bird’s eye perspective of the city’s most famous parks including: Waterfront Park, the Rose Garden, the Portland Japanese Garden, Marquam Nature Park, Washington Park, and Forest Park, one of America’s largest urban parks. In addition this 10 mile route will allow you to glide past other Portland landmarks like Pittock Mansion, OHSU and its tram, the South Waterfront and unforgettable “front-row-seat” views of the downtown area and Willamette River. This tour includes all the Skyscrapers & Bridges Tour features and extends twice as long, for just $20 more per person. A great value way to see the Rose City from the air. Take a helicopter tour right from the center of Old Town/Chinatown in the heart of Downtown Portland. Rise up among the buildings and bridges and make a grand 15 mile circuit of the City. From beginning to end a unique and thrilling experience that integrates perfectly with all your other Downtown Portland activities. A visually stunning, 55 – 60 mile round trip helicopter tour for those who want to take in the breathtaking natural beauty of Oregon’s Columbia River Gorge up close combined with the convenience and thrill of flying in and out of downtown Portland’s heliport. Take a helicopter tour straight up and over the city from the downtown heliport and see the world aglow with light. Our city has its own special mood at night. Bridges and stadiums backlit, Skyscrapers glowing, street lamps and car lights leading out into the surrounding hills and valleys. The perfect compliment to a fun filled evening out or a complete experience in and of itself; our helicopters offer a unique position to take in the color and pageantry of Portland after dark. The City Lights Tour is perfect for long winter nights and provides a breathtaking experience in any weather. Cloudy skies and wet streets make the reflections of the lights even brighter. Night time City Lights tours are available in 15 mile and 35 mile distances, approximately 15 minutes and 35 minutes respectively. Choose your preferred distance during check out. 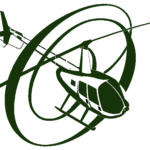 Make it an unforgettable date night for you and your special guest by sharing a private helicopter flight over Portland with Oregon Helicopters. Surprise your partner by escorting them out of the elevator and onto a rooftop helipad. The helicopter will be waiting with a box of chocolates and a dozen roses inside. Take pictures with the helicopter in the background and then it’s up into the air. You’ll love the view and the time you share together. We assure you this is a date that will be cherished forever. Romantic tours are available for 15 mile and 35 mile distances (approximately 15 minute and 30 minute tour times respectively) and for both day and night time flights. All tours are private, and include chocolates and a dozen roses. Call with any questions or book here. Prefer a romantic date flight starting from Hillsboro? Click Here. Put Portland in the palm of your hand with this flight around the center of downtown. See the Willamette River, all of Portland’s skyscrapers and the downtown bridges. This 6 mile loop leaves from the downtown helipad at the SmartPark garage, 33 NW Davis. Oregon Helicopters Twin Cities (Portland & Vancouver) helicopter tour is shows you what Portland and the NW do best – rivers, wildlife, vibrant city centers, mountain ranges, and even an international airport thrown in for good measure. Take off from a rooftop in the heart of downtown Portland and see the skyscrapers eye to eye. Fly up the Willamette River to Sauvie Island with its rich farmland and large natural preserve and wetlands. Cross the Columbia River, the region’s mightiest waterway and glide over historic downtown Vancouver, Washington. Fly over PDX, Portland International Airport on a loop southward back to Portland. A little bit of everything and a lot of big memories is what is in store for you on this unique aerial tour. A beautiful, 25 mile flight path that takes you from Downtown Portland to Willamette Falls. For its diverse topography and lush scenery, this route is a pilot favorite. You’ll cross into the Tualatin Valley and fly down the west side of the sylvan West Hills. Fly over picturesque Lake Oswego and trace the Tualatin River through lush rural countryside where old farms mix with large new estates. At the Willamette River you’ll be treated to an amazing view of Willamette Falls, the second largest waterfall in the United States by volume. Perched on cliffs above the falls is the historic town of Oregon City, the first capital of the Oregon Territory and the end point of the famed Oregon Trail. Your tour turns northward at this point to follow the Willamette River downstream towards Portland, passing along the way the clear waters of the Clackamas River where it empties into the Willamette. With lakes, rivers, waterfalls, cityscapes, hills, and snowcapped peaks in the distance, this tour is a marvelous way to take in all of Portland’s rich topographic diversity.